NEO 1/2″ impact screwdriver features 10 pieces, including 9 driver bits in common sizes (flat, cross) and impact handle. 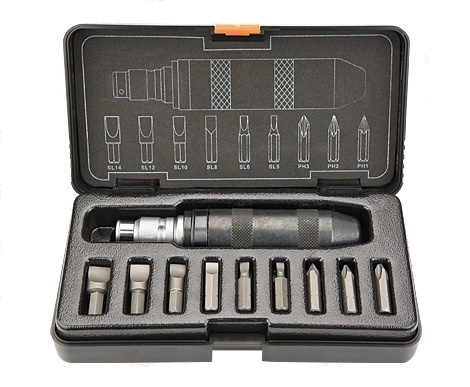 Use of S2 alloy steel to manufacture driver bits considerably improves their durability. Handle is made of durable chromium vanadium steel. Product delivered in practical, plastic case. Tool quality confirmed with TÜV certificate and 25 years manufacturer’s warranty. NEO brand meets expectations of professionals.